South East Coast Ambulance Service hopes to come out of special measures within a year, county councillors have been told. 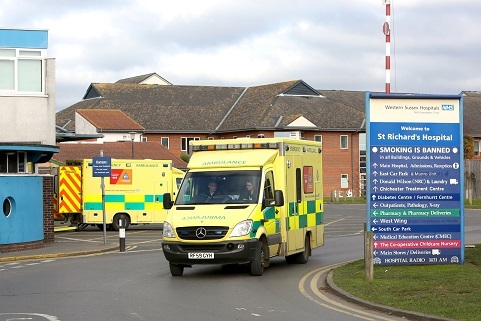 The trust, which covers Sussex, Surrey, Kent and parts of Hampshire, was placed in special measures in 2016 after an inspection by the Care Quality Commission. Reasons for the rating included bullying and delayed response times which inspectors said put patients at risk. The trust said at the time that it was committed to improving the quality of its service. It was still rated inadequate in 2017, before being upgraded to requiring improvement in 2018, with the commission recognising that ‘significant progress’ had been made. At a meeting of West Sussex County Council’s health and adult social care select committee on Wednesday last week, members received an update from the ambulance service and examined a report into the work being done. The committee was told that the trust was ‘well within the national averages’ on response time for the most severe emergency calls, such as cardiac arrests and traffic accidents. But Jane Phoenix, the ambulance service’s deputy director of strategy and business development, acknowledged that response times for the less serious categories, such as fractures, falls and diabetic problems was ‘not good enough’. Ms Phoenix said: “It’s obviously a journey. We had significant issues regarding safeguarding, we had significant issues around medicines management. From February six mental health nurses will be placed in emergency operation centres to help deal appropriately with mental health calls. The trust has also formed an alliance with West Midlands and South Western Ambulance Services to allow them to share best practice and save money by buying supplies, equipment and fuel together. Councillors were assured that the alliance was not a merger and did not mean ambulances would be sent to incidents in the Midlands and South West and vice versa.